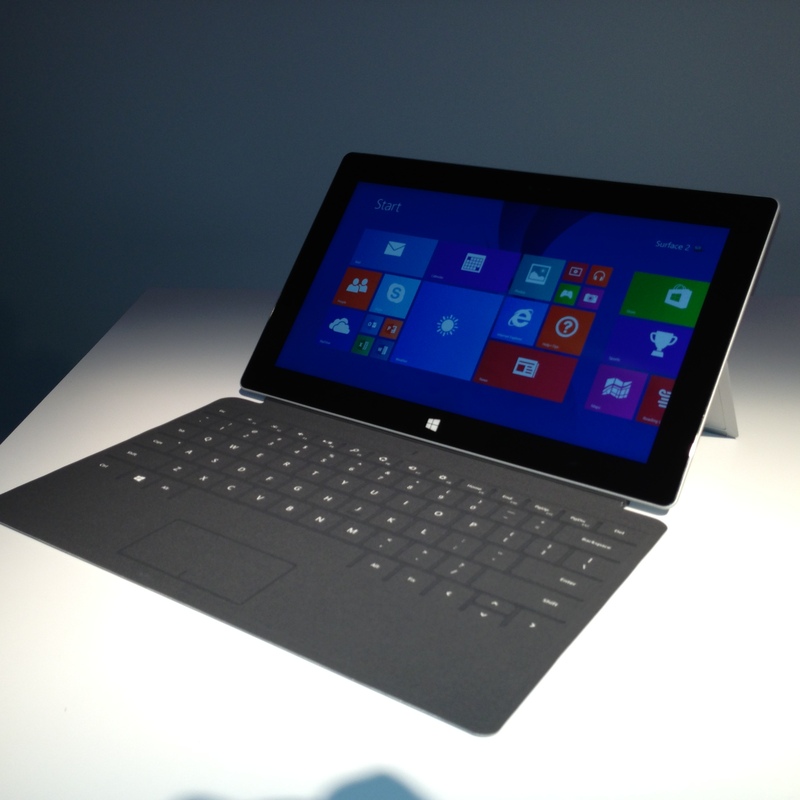 Microsoft today unveiled its new generation of tablets; the Surface 2 and Surface Pro 2. Here are first impressions after trying them out. 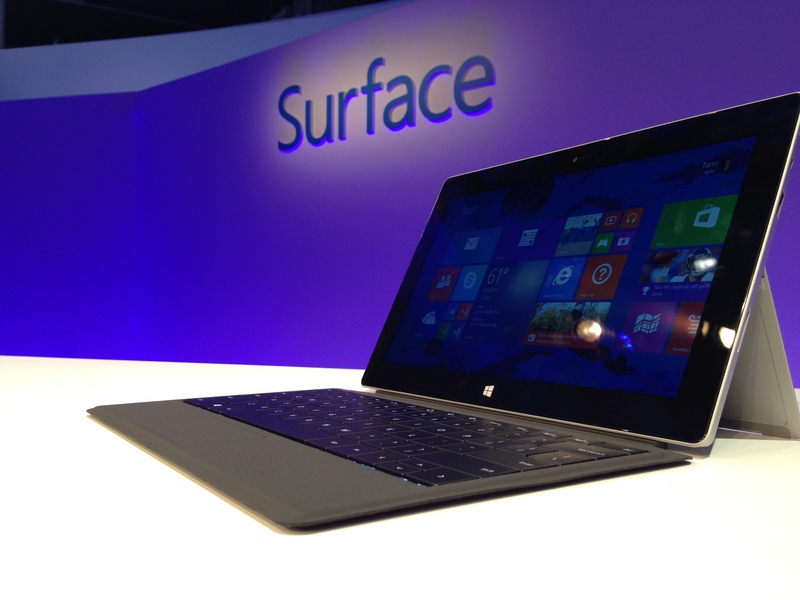 The Surface 2 is the successor to Microsoft’s Surface RT. 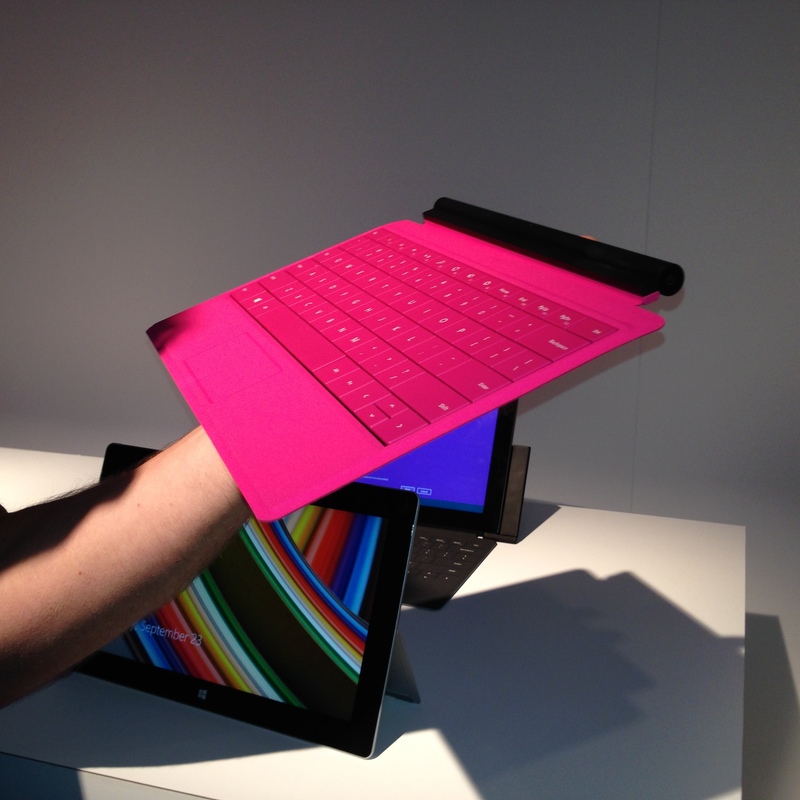 Intended for casual use, the Surface 2 simply feels like a higher quality product at first touch. 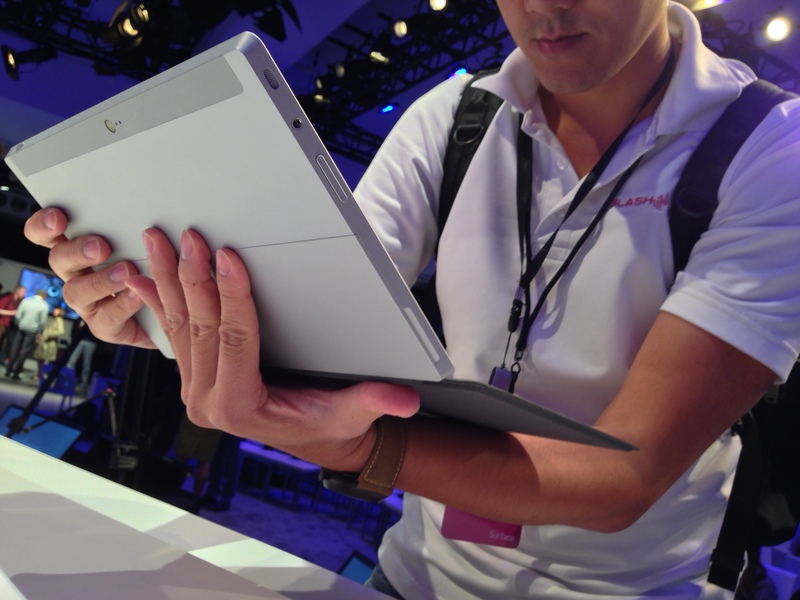 It feels considerably lighter and thinner than its predecessor and the body more sturdy and rigid. 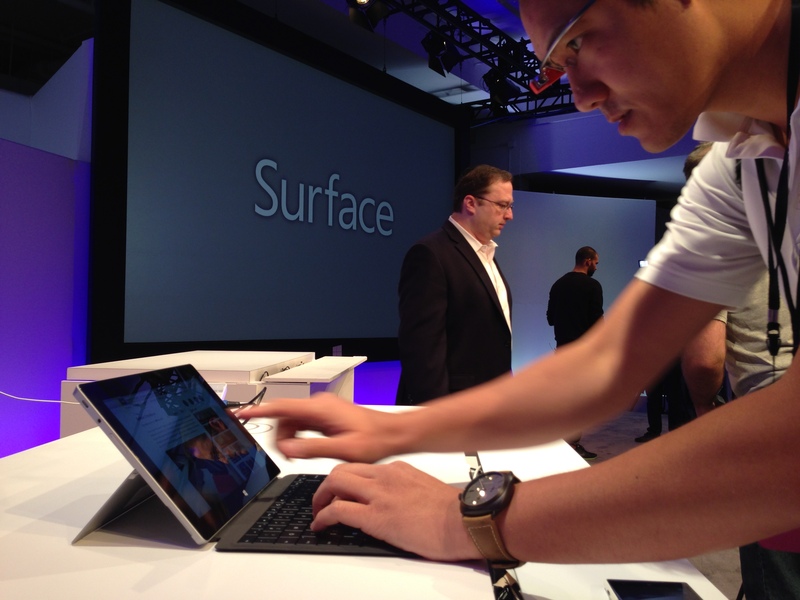 The new HD ClearType display is a marked upgrade from the Surface RT. While not as sharp as a Retina display, the ClearType is still a very welcome addition. The display is also very effective at reducing glare, which (as you can tell from our photos) was an issue in the event space’s harsh lighting. 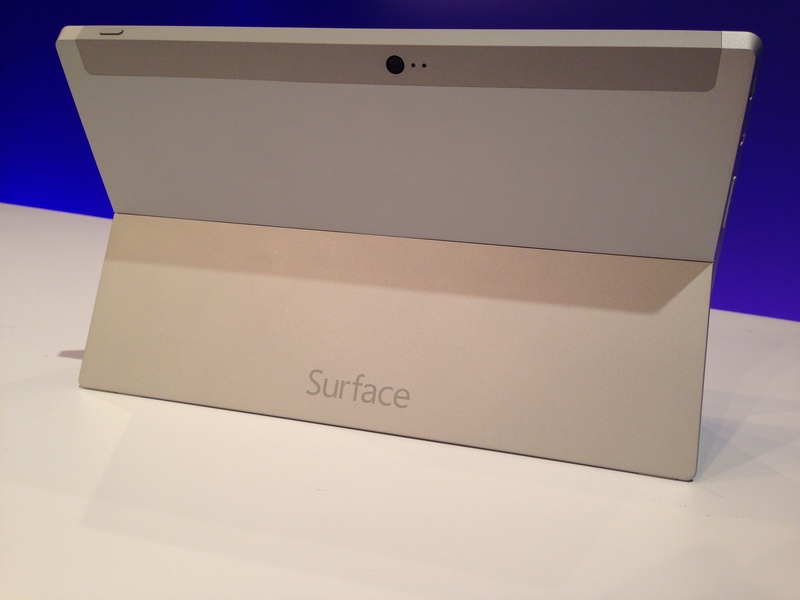 The new white (or silver) color of the Surface 2 is quite impressive and works well on the magnesium body, creating an Apple-esque subtle glimmer under bright lights. The front facing camera is also quite impressive with sharp resolution and a clever method of live color and white balancing means that as we move around the room, the illumination of the users face does not change much. The most subtle change may be the most effective though. The new two position kickstand allows for much easier lap use, as well as tabletop use for taller individuals. The kickstand has a satisfying ‘snap’ when switching positions and feels rather sturdy when putting pressure on the tablet during use. Microsoft seems to have taken to leveraging their other products to subsidize Windows 8’s weak app market. It’s offering full Microsoft Office suites, a year of Skype calling and 200GB of cloud storage for free. 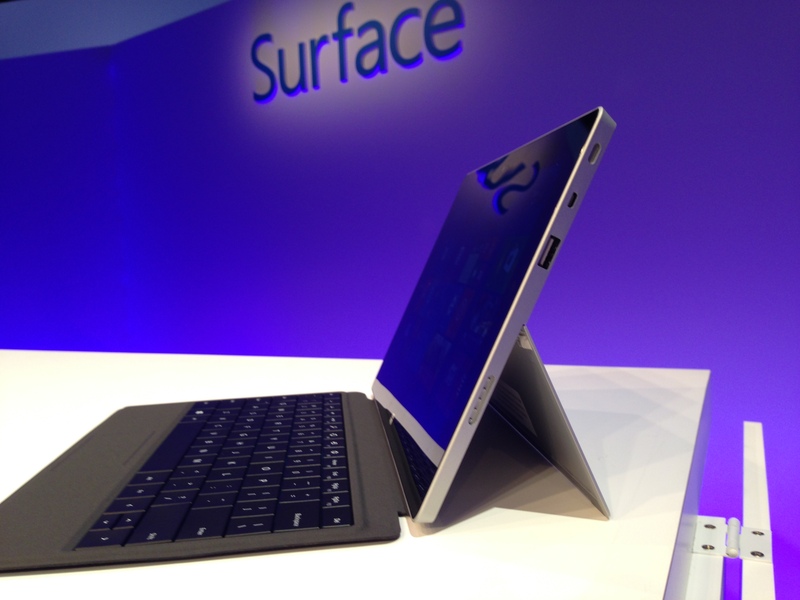 The Surface Pro 2 is Microsoft’s flagship tablet. Intended for professionals and artists, the Pro 2 comes in at a hefty $899 starting price tag. 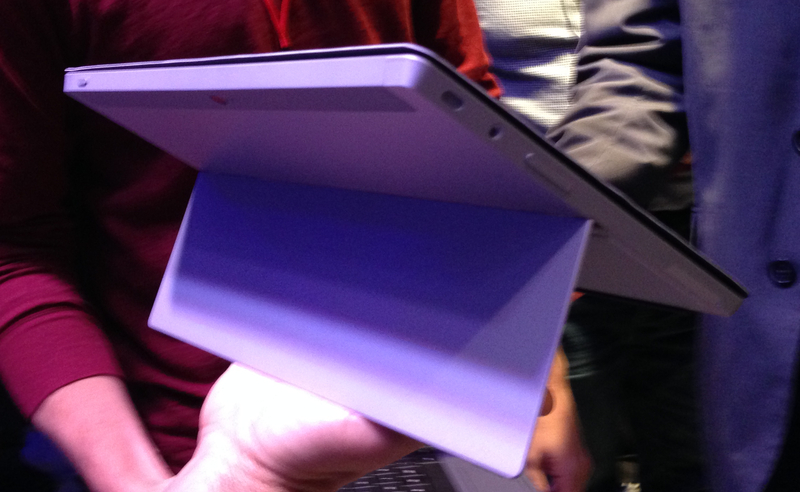 The Pro 2 feels a little bit better than the original Pro, but it still rather heavy and thick for a tablet. 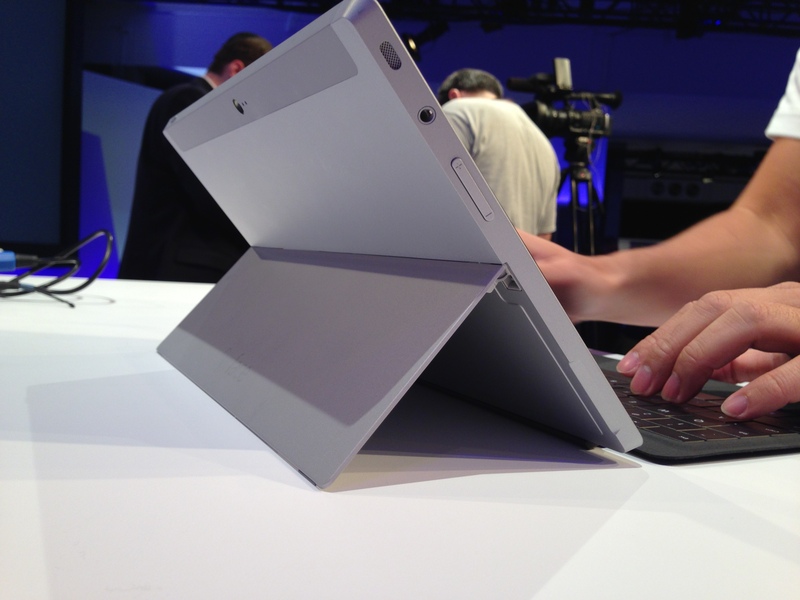 It sports the same two tier kickstand as the new Surface 2 as well. 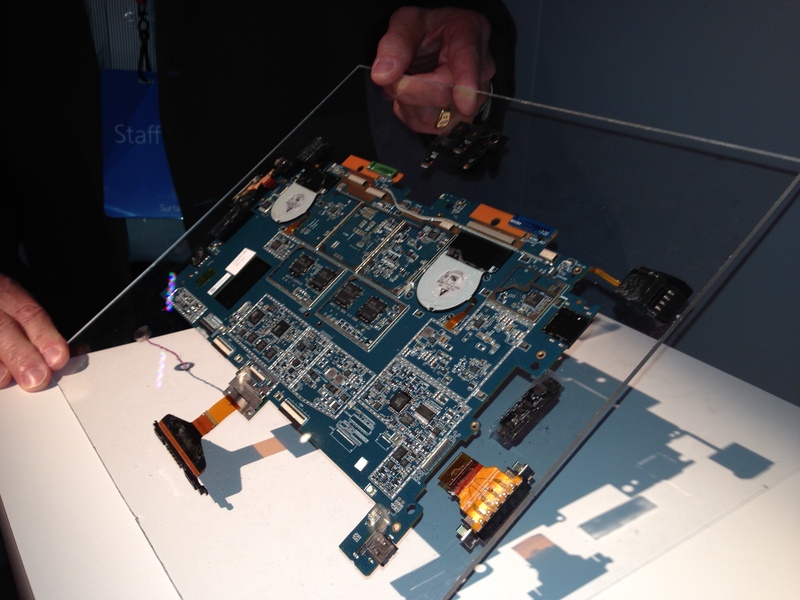 Most of the improvements are internal, with Microsoft using new Haswell architecture which improves battery life by 75% and speeds up the clock speed. At first touch, the Pro 2 is blazingly fast, responding nearly instantaneously no matter how fast we were opening and closing apps. The real story of the Pro 2 is the new Power Keyboard and dock. The Power Type Cover can actually charge the Surface Pro during use, kicking the total improvement over the last model to over 2.5x the battery life, impressive for a tablet running a full desktop-OS. The new dock is also a notable addition. When using it, the dock felt as study and rigid as the tablet itself, and closing the dock around the tablet was done by bringing in the sides and locking the tablet into place with an audible click that is reminiscent of the kickstand’s snap. The dock makes the tablet more functional, and will be a welcome feature for enterprise users looking for that laptop/tablet hybrid functionality. One cool accessory that wasn’t noted during the announcement was a slim add-on to the keyboard covers that convert them into Bluetooth keyboards. This can be especially handy when docking the tablets or playing games.